A hardly used Franchi over and under which comes with the original Franchi hard case and spare chokes. An immaculate example with beautiful upgraded stock and forend, 11x7mm flat taper rib with vent side ribs, cased with 5 x flush Teague chokes, supplied in makers case with all accessories and certificates. A very nice example, in good condition. perfect working order. a great light weight game gun. Lovely gun in very good condition, 9.5-10, stand off has been slightly altered and a new Pachmyer Decelerator pad fitted. Good Condition AYA, ejector. 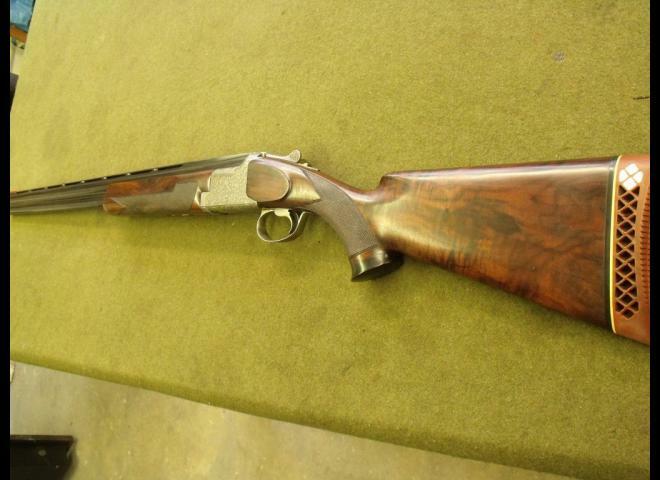 ideal first gun for game and rough shooting. 01223837977. 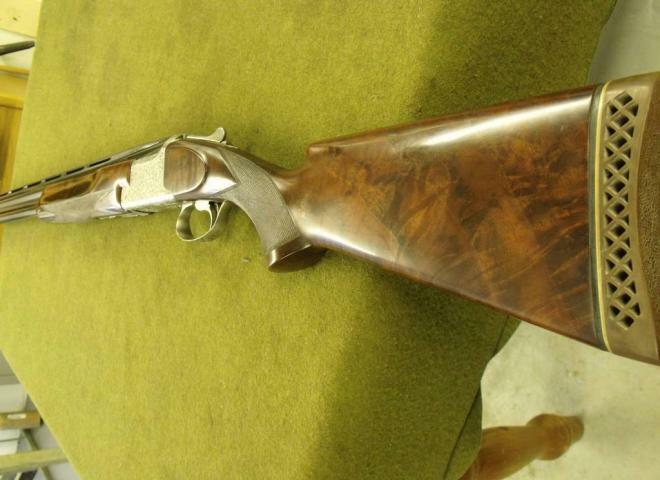 Perazzi MXS, with 32" barrels (1580), choked 1/2 and 3/4, in great condition, great looking woodwork, cased as new. Just been away to Nigel Teague to have a new Pachmayr Decelerator pad fitted. Finance available in store today! Demo gun, very good condition throughout.